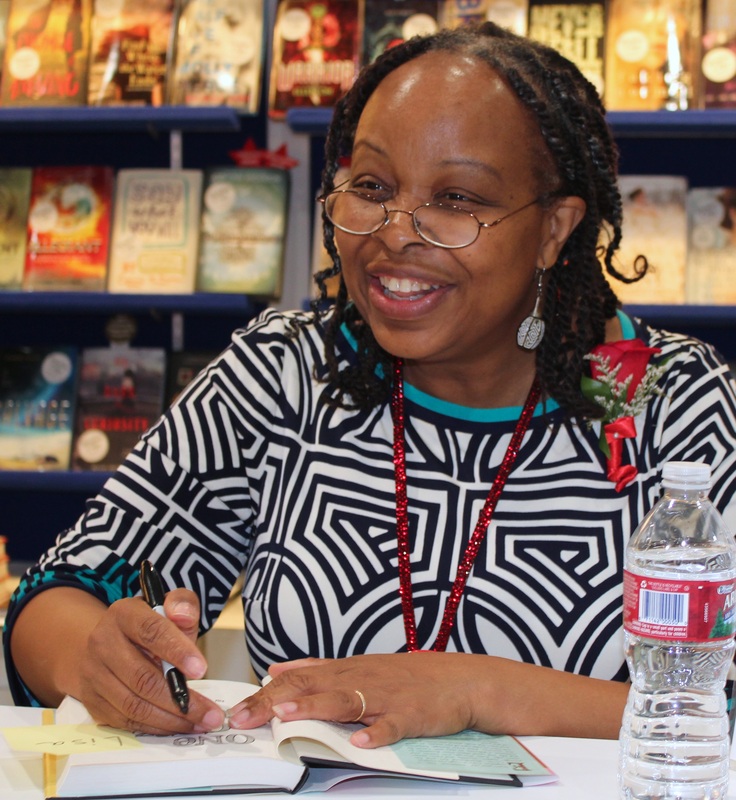 Rita Williams-Garcia (born 1957) is an American writer of young-adult novels. She won the 2011 Newbery Honor Award, Coretta Scott King Award, and Scott O'Dell Award for Historical Fiction for her book, One Crazy Summer. She won the PEN/Norma Klein Award. Her book, P.S. Be Eleven, won the Coretta Scott King Award in 2014. In 2016 her book, Gone Crazy in Alabama won the Coretta Scott King Award. Bio from Wikipedia, the free encyclopedia. Photo by Jeffrey Beall (Own work) [CC BY 3.0 (http://creativecommons.org/licenses/by/3.0) ], via Wikimedia Commons.